Palaeontologist Jamie Jordan has discovered a rare complete skull of an extinct species of giant buffalo in a Cambridgeshire quarry. 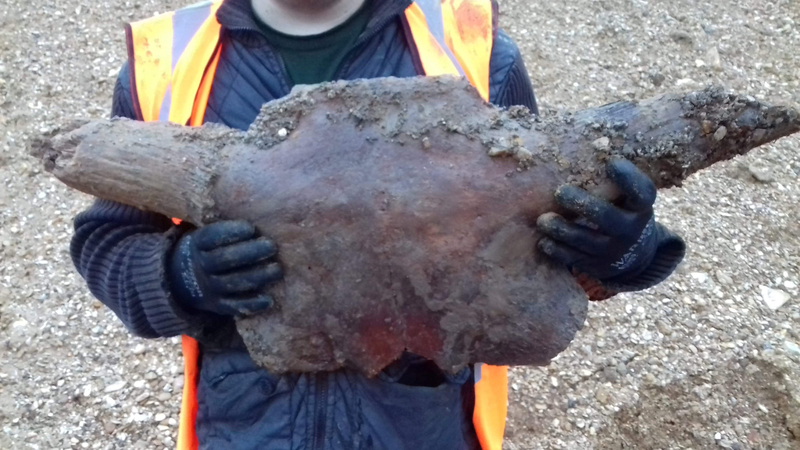 Jordan has been excavating the quarry for years and discovered hundreds of bones from the steppe bison (bison priscus), including sections of skull, but this is the first complete skull he’s unearthed. The bison priscus ranged widely over Europe, Asia and North America 150,000 to around 10,000 years ago. 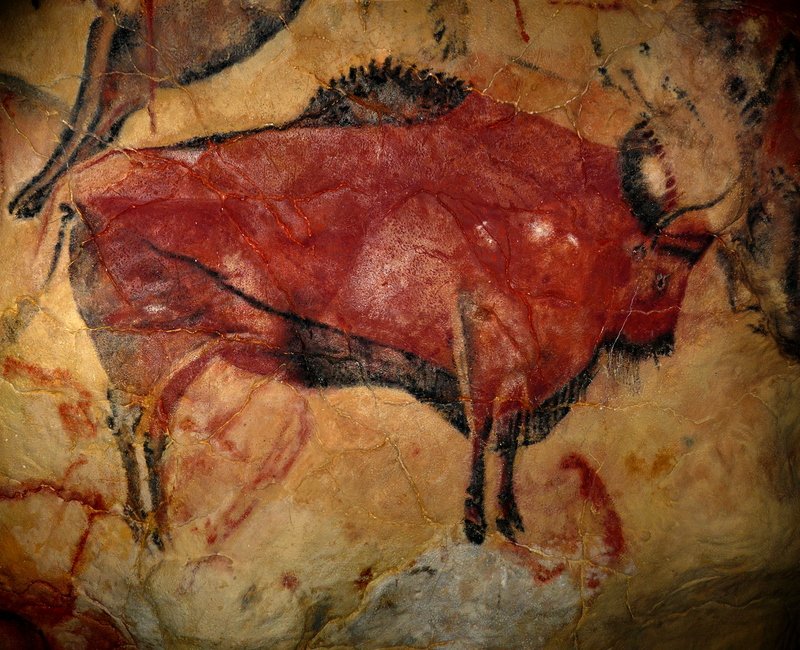 An adult male could reach as high as six-and-a-half feet at the withers and weigh 2,000 pounds, which made them popular subjects by early modern human artists. 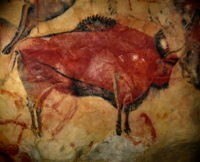 The cave paintings at Altamira in Spain and Lascaux in France feature steppe bison. We don’t have to rely on contemporary depictions or reconstructions from skeletal remains, because steppe bison mummies have been recovered in exceptional condition from the permafrost, two in Alaska and one in Siberia. Blue Babe, the first one discovered in Alaska which was an international sensation, is on permanent display at the University of Alaska Museum in Fairbanks. 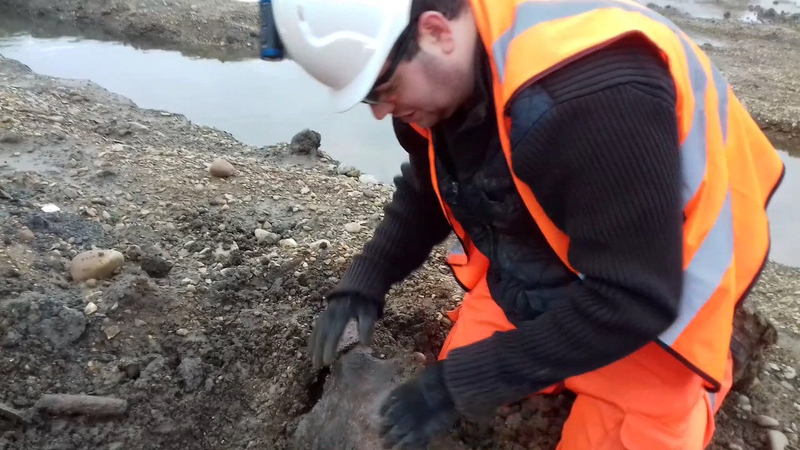 Jamie and his team first discovered some splintered pieces of bone at the site, which cannot be named due to safety reasons, before they uncovered the entire fossil. 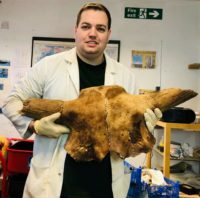 The skull is currently in several pieces but Jamie said once the skull has been cleaned and dried it will fit together again perfectly. The conservation and reconstruction of the skull is expected to take around two months to complete. The process will be done in public view at Fossils Galore in March, the non-profit private museum and educational center Jordan created to house the millions of fossils he has collected since he found his first one on a family vacation when he was four years old. Once the bison skull is complete, it will go on display at the museum.